Marine mammals like dolphins, seals and whales can hold their breath far longer than humans. How do they do this? Underwater mammals, such as humpback whales, can hold their breaths for up to twenty minutes - much longer than other mammals. 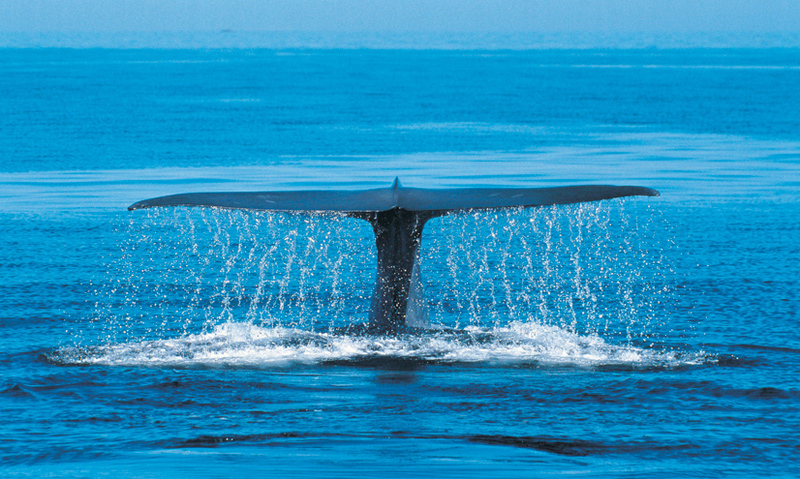 A humpback whale can inhale 3000 times more air than a human in one breath. A humpback whale's muscle tissue contains myoglobin, an efficient oxygen carrier that enables 90% absorption. Whales use fewer muscles when they swim, slowing down the heart rate and blood flow and conserving oxygen levels. If you try to hold your breath, the chances are you can last around a minute. All mammals breathe air into their lungs just like we do. But underwater mammals, like dolphins, seals and whales, can hold their breath for much longer than us... why? This is Millie, a humpback whale.